Norwegian’s 2015 results are characterized by high load factors, continued fleet renewal and moderate capacity growth. The company reported a high load factor throughout 2015, which averaged at 86 percent. The pre-tax result improved by 1.7 billion Norwegian kroner ($200 million), compared with last year. Norwegian, the World’s Best Low-Cost Long-Haul Airline and Europe’s Best Low-Cost Airline, will open its 15th European base at Rome Fiumicino Airport on March 27, 2016. Norwegian’s first Italian base will create a total of 60 jobs for pilots and cabin crew. The airline has additional bases in New York, Fort Lauderdale and Bangkok. Norwegian reported its highest ever passenger figures in a single year for 2015. The past year, Norwegian flew 25.7 million passengers, two million more than the previous year, and achieved a load factor of 86 per cent, up from 81 per cent in 2014. Norwegian Air Resources Holding (NARH) and OSM Aviation have signed an agreement to form a stronger global partnership in employment and management of aviation crew, with NARH acquiring 50 percent of OSM Aviation. Norwegian, the World’s Best Low-Cost Long-Haul Airline and Europe’s Best Low-Cost Airline, today launched its first flights from the United States to Guadeloupe and Martinique in the French Caribbean. 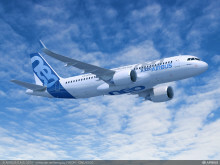 The International Council on Clean Transportation today released a study that compares the fuel efficiency, of the top 20 airlines on transatlantic routes between the United States/Canada and Europe in 2014.Norwegian was named the most fuel-efficient airline on transatlantic routes, on average achieving 40 passenger kilometers per liter (pax-km/L) of fuel with its predominately Boeing 787-8 fleet. 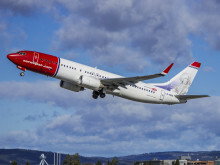 Norwegian Air, the world’s best low-cost long-haul airline, today celebrated its new service from Las Vegas’ McCarran International Airport to both Copenhagen, Denmark, and Stockholm, Sweden. The world’s fastest-growing airline now offers 25 nonstop routes to Europe (Copenhagen, London, Oslo and Stockholm) from the U.S., more than any other European airline. Norwegian’s October traffic figures were characterized by international growth, particularly on the long-haul routes, a trend the company has reported over the past months. The solid load factor continued this month and was 88 percent, up 6.2 percentage points from the same month previous year. The company carried approximately 2.4 million passengers in October, an increase of six percent. Today, Norwegian and UNICEF have sent an aircraft fully loaded with school supplies and emergency aid to Jordan to help Syrian refugee children. The aircraft is now on its way from Copenhagen to Amman in Jordan as part of Norwegian and UNICEF Norway’s efforts to help some of the two million Syrian refugee children. Norwegian’s passengers have donated more than $200,000 to UNICEF’s work for children all over the world since the launch of the donation programme launched in June. Customers have donated money when purchasing flights online between June and October. In October, all donations will be used to fill an airplane from Norwegian with school supplies and emergency aid to Syrian refugee children.